Last week I made a quick dinner of sauteed chicken breasts with broccoli and onions served over rice. 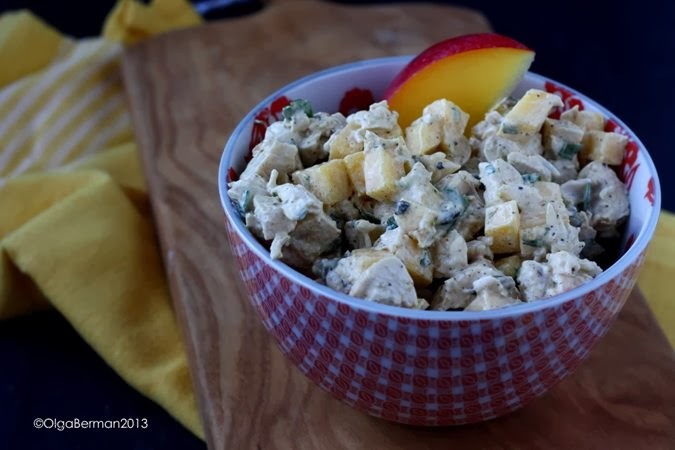 I had a few chicken pieces leftover, and turned them into Curried Chicken Salad with Mango & Pumpkin Seeds. You don't really need a recipe for this, so I'll just quickly describe what I did. 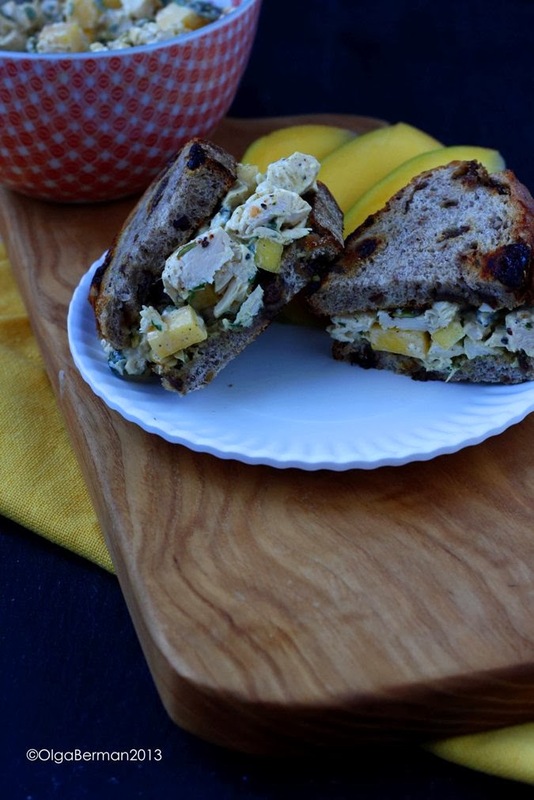 1) Chop cooked chicken breasts, ripe mango and fresh cilantro. 2) Combine the above ingredients with pumpkin seeds, curry powder and enough mayonnaise to get a creamy consistency. 4) You can eat this concoction as a salad, or serve it on toasted raisin pecan bread for a great sandwich! Note: if you are making enough salad to have leftovers, don't add pumpkin seeds until you are ready to eat. You want to make sure the pumpkin seeds don't get soggy. 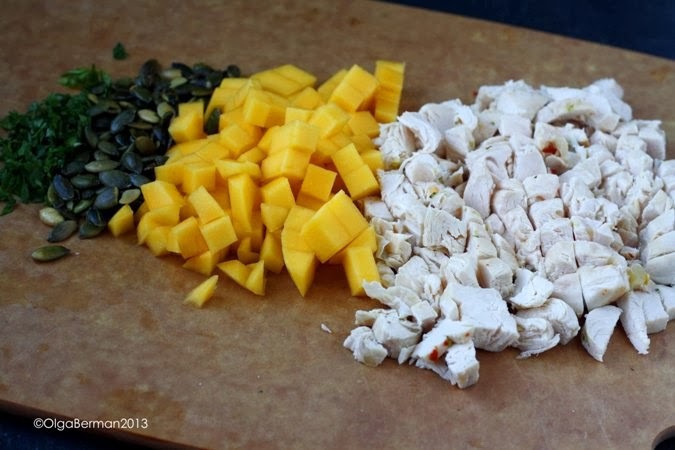 What do you make with leftover skinless boneless cooked chicken breasts? This looks yummy. I love the curried chicken salad from whole foods. It's on my list to recreate! maybe I should make this instead. Totally! I'd add a bit of red onion. And you can use the chicken you roasted!! i like my chicken skinless and boneless too. turning them into salad is a great idea. never thought of curry powder though. I also sub 1/2 mayo with Greek yogurt. Love curry powder. You can also go with grapes and or raisins. 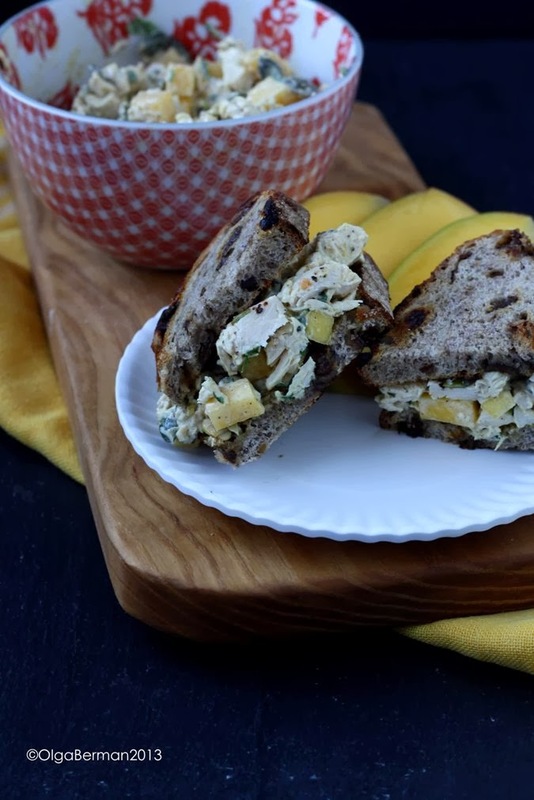 In the summer, use peaches or nectarines instead of mango. Can do the same with leftover turkey! Great idea about Greek yogurt to save a few calories. 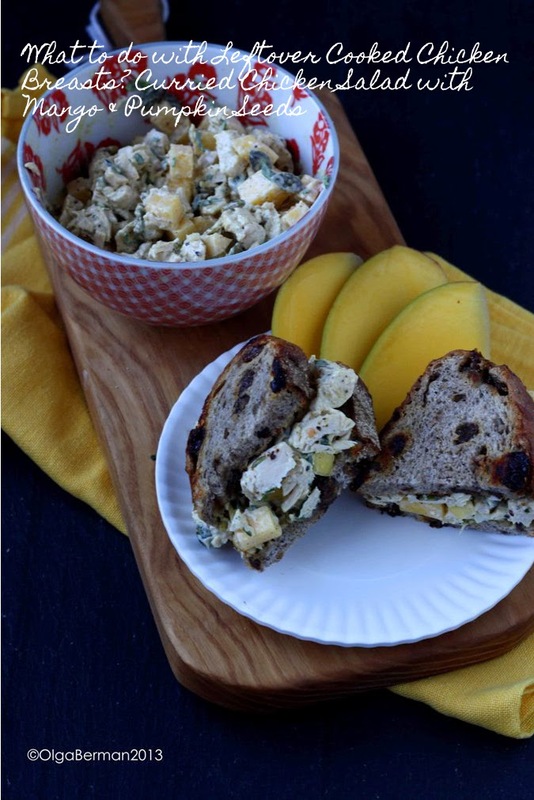 I love homemade chicken salad - mangoes and curry make it all that more unique!